RED-G MIRACLE in essence is a very similar product as Power Khan, just a liquid formula for easy and quick absorption. Stamina improving drink made from Korean Red Ginseng and natural oriental herbs. Harmless to our body and with no side effects. Content of every single bottle is of THE VERY HIGHEST QUALITY. RED-G MIRACLE is an EXCLUSIVE product in terms of its FRESHNESS, EFFECTIVENESS and QUALITY with tremendous benefits to your health and sexual life. Take 1 bottle per day any time of the day after shaking it. While the effects of Red-G Miracle last for at least 24-72 hours, take take 1 bottle per day for the first 2 days. Thereafter, take 1 bottle costantly every 2 - 3 days as the nutritious constituents of the product are accumulating in your body. 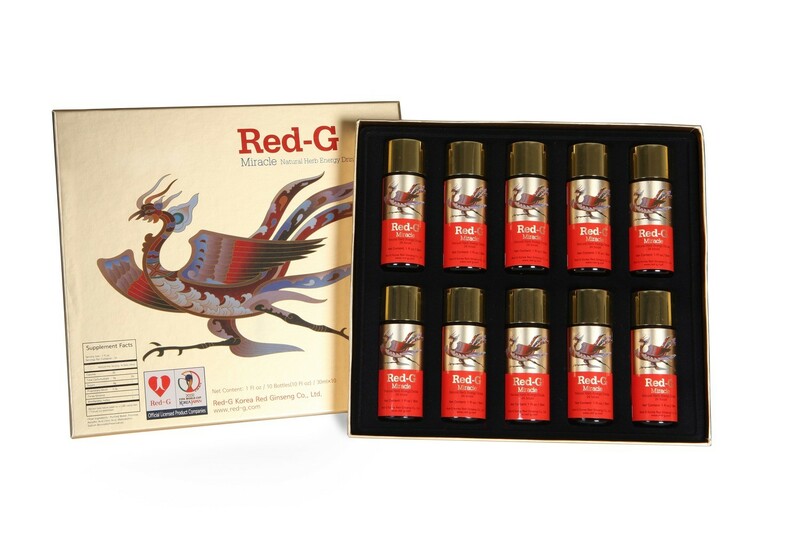 Red-G Miracle can be taken for immediate results at least 1 - 4 hours before sexual activity. When to start taking red-G Miracle? Red-G Miracle can be taken at any age - this is an amazing 100% natural herbal enhancer - For Young and Old. Even if you do not experience any symptoms listed below Red-G Miraclen is very beneficial for Your general well being and overall strength and not just as a treatment of erectile dysfunction.